There was a large turnout of visitors coming from several countries and a very high interest in all our products: dry pasta, fresh pasta, couscous, ready meals, gluten-free and instant pasta. The last-named has been the hit of 2016 that has generated a great interest and attention. Many tastings of the available flavors were distributed among the visitors and our Staff proudly noticed that the product had been really appreciated. 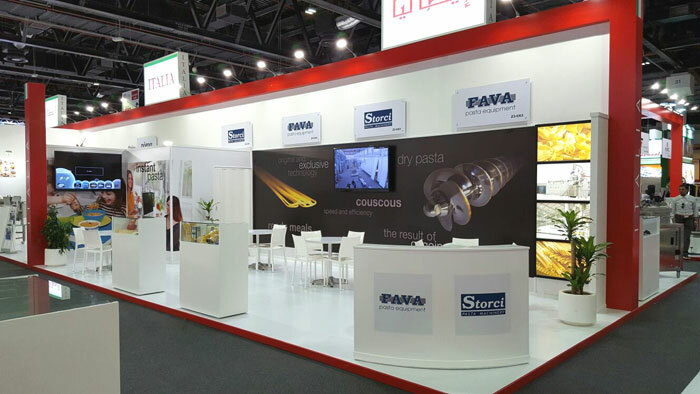 Storci's Staff: "We are extremely satisfied with 2016 edition of the Gulfood Manufacturing: we regard it as a 100% success. Along with our Partner we got a very high number of contacts and it was an excellent opportunity to meet regular Customers and Friends. We have proved once again our leadership in this sector and our leading role in pasta machinery sector when it comes to innovation and technology combined with tradition." Furthermore: "We are very satisfied with the event organizers, we can confirm that we had so many visitors coming from all over the world....the interest in our lines was outstanding as usual, similarly distributed among our product categories".